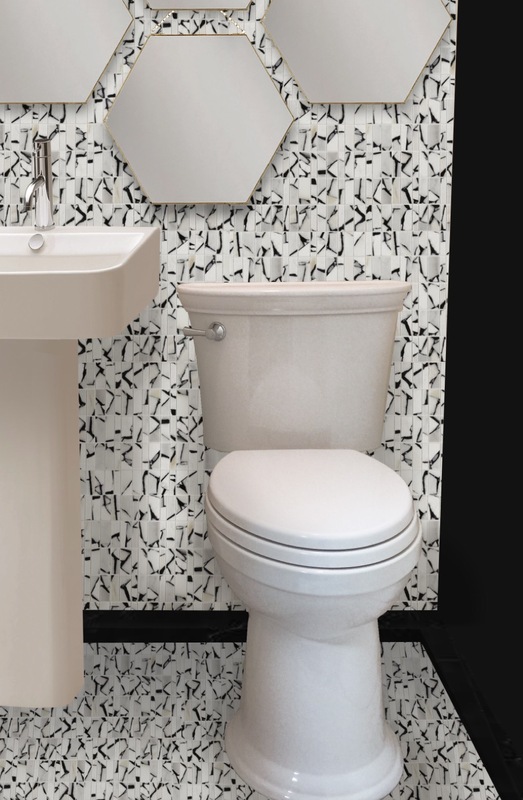 We love geometric lines in our studio and the classic curves of the Vormax Heritage toilet fits right in. American Standard offered me the toilet to review. We really love it! And I'm not just saying that because we had to lift the old toilet tank for 6 months to get it to flush. The American Standard Vormax toilet has been a god send over at MODmadeNY! Lets face it, toilets aren’t easy to clean especially with multiple people using it on a daily basis but the flush technology lends a helping hand by simply flushing the toilet. Its superior performance comes from the combination of its Vormax flushing action, CleanCurve rim design and EverClean surface keeping the bowl clean. 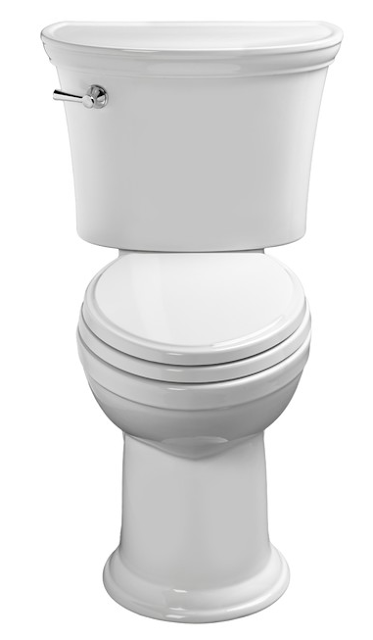 The Antimicrobial properties inhibit the growth of bacteria and with the use of 1.28 gallons of water, the Vormax jet sends a powerful flush that cleans dirt 2X better than a conventional toilet, even under the rim from just the flush! It's fabulous! Take a look at the video showing the difference between the Vormax and Kohler Cimaron flush. Big difference in the flush function!